Home Kids Toys & Games Archive by category "Everything Else"
Looking for a fabulously cool way to keep your kids safe & keep them happy? These Parking Pals are perfect for anyone with kids, grandkids or even daycare’s! 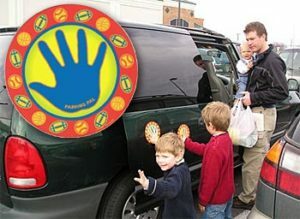 The idea is simple, just slap this one of these magnets of the car & direct the kids to keep their hand on that spot. It’s easy, fun & will make it safe to load kids, stuff or them into the car. Are you little monsters causing all kinds of trouble in parking lots? Then a spiffy Monster, or butterfly magnet will help rein in those pesky kids. Add this spot to the side of your car & you’ll know where everyone is. These come in several styles choose from a Monster, Butterflies, Letters, Numbers, Flowers, Fish, or Dinosaurs. 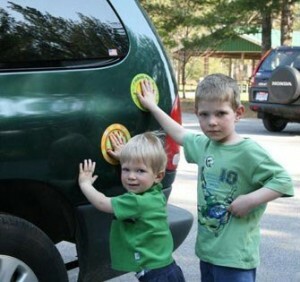 These awesome magnets help kids understand the dangers of parking lots & keeps them safe at the same time. The perfect gift for Anyone with kids, it’s not super pricey & could save a life! Are your kids bouncing off the wall with…well, bouncy kid energy? Give those kids something to jump about…and wear them out! I had one of these as a kid but it didn’t have a handle (to keep kids from bouncing right off!) & was a lame brown color. 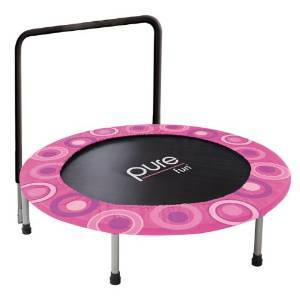 Things have gotten much cooler for kids with this snazzy pink design with purple & pink circles. When I was a kid we had to live on the edge. They also make a boyish version with reds & blues. So clearly your kids like All kids have more energy than sense so you need to get something to keep them moving & playing at the same time. 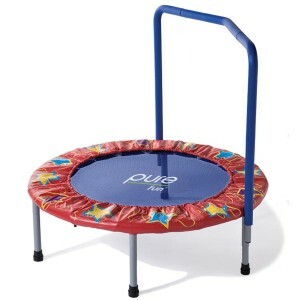 This groovy trampoline is made for kids up to 100 pounds & the hand rail can be adjusted to 2 different heights. This is the perfect indoor solution for bouncy kids. Winter is long & boring…but this definitely helps keep them busy & out of your hair for a while. It features a super tough cover over the springs so little figures won’t get pinched & it’s made for kids 3 & up…frankly 2 an up with supervision is fine too. It’s 48″ in diameter & this particular one is designed just for girls (or boys that love pink)…they do come in more neutral or boy colors too (just scroll down). These are great for rainy days or just something fun to do indoors. It makes for a great gift too! I still keep one around for pint-sized guests that need to be worn down….it’s just awesome! 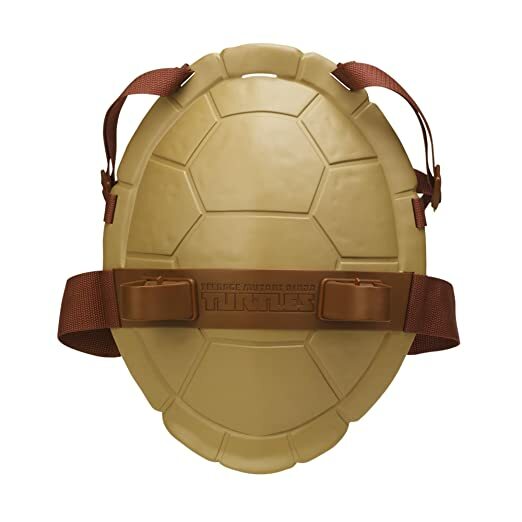 If your little maniacs love the Ninja Turtles then they will certainly need one of these snazzy shells! It’s perfect for play time & fits with the standard combat gear. This would make Halloween super simple as well! Teenage Mutant Ninja Turtles Deluxe Role Play ShellBuy it!